The sun has got its has on, hip hip hip hooray, the sun has got its hat on and the hens are out to play. It finally feels like Spring has sprung. 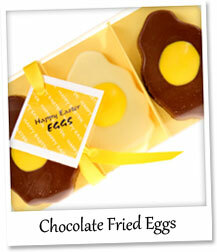 Daffodils are in bloom, Easter products are in stock and chickens are laying lots of lovely eggs again, yippee! 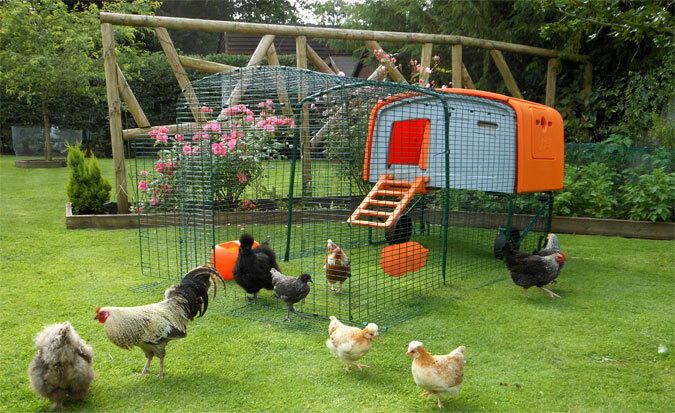 (If you don’t have chickens yet, why not check out our range of Eglus?) On top of all this, we want to put an eggstra spring in your step, because there are lots of surprises to look forward to over the coming weeks. We will be celebrating Omlet’s 10 year anniversary next month, so you can eggspect some BIG new products, speggtacular offers and a special competition or two coming soon. If you opened our pancake special newsletter, you will have sneaked a peek at one of our new products already, but here is another clue for you. A cheeky snapshot of a brand new product to hit the shelves next week. Can you guess what it is yet? Although those strawberries do look scrummy, we regret to inform you that we will not be going into the fruit farming business in the near future. However, our latest, top secret, Omlet branded accessory, will be a must-have for anyone with a fruity side. 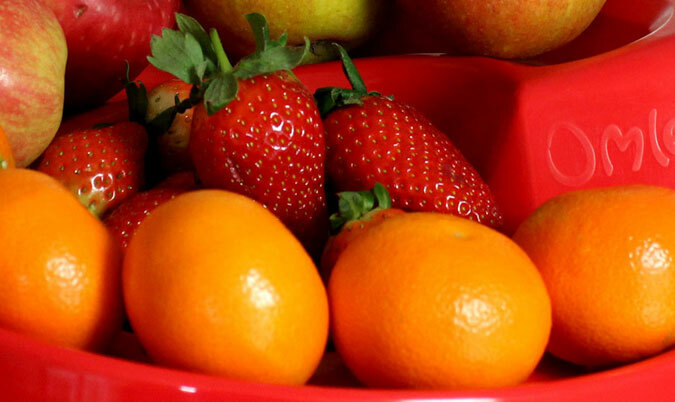 If you’re proud of your melons or your bananas about berries, you’ll love this! Make sure you check your inbox next Wednesday for the full reveal. 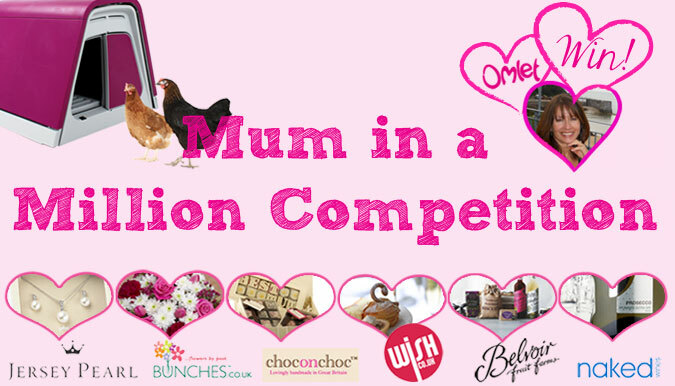 Win a Prize Package worth over £700 for your Mum! There’s just over one week left to get your entries in for our Mum in a Million Competition. Tell us why your Mum is so darn fantastic and you could win her the Mother’s Day gift of a lifetime. Has your Ma always wanted to keep chickens? She could be getting her hands on a fabulous Eglu Go with 2m run and all the eggstras, worth £360. Would she love a set of beautiful pearl jewellery? She will sparkle like a star in a Freshwater Pearl and White Topaz Pendant and Earring Set from Jersey Pearl. Does she like tasty treats and a glass of fizz? (Who wouldn’t!?) The mother’s day Choc on Choc chocolates, Belvoir cordials, and case of Prosecco will help her celebrate in style. Throw in a beautiful bouquet of flowers from Bunches and a luxurious afternoon tea for 2 in a choice of locations, courtesty of Wish UK, and you are going to give her a day to remember! Want to know the history behind Omlet’s high-vis chicken jackets? Watch the Discovery Channel’s fantastic Daily Planet report. They recently did a story on the craze of the chicken jacket, travelling all the way from Canada just to get a slice of the action. Those Canadians may have thought that the UK had gone a little bit bonkers, but the team quickly realised how popular, and practical, the must-have poultry product is, especially when seeing it in use. Catch up on the 4 minute clip on our Youtube Channel. You’ll meet the designer behind the product, be let behind the scenes at Omlet HQ, and even see the initial drawings of our best-selling hen garment. 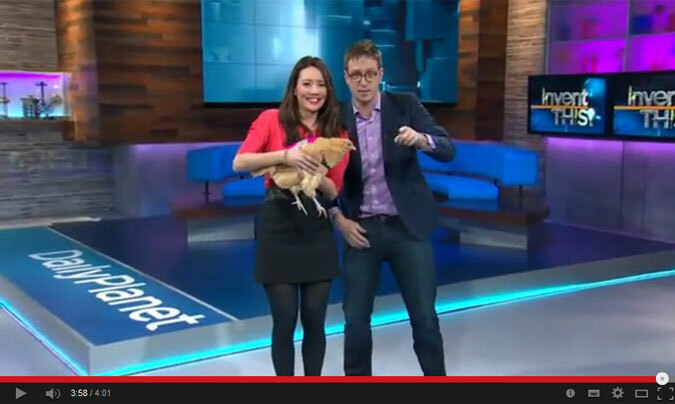 Perhaps the best bit of the video, however, is back in the studio, when the presenters attempt to catch their model chickens on the catwalk. Do you love baking bread but hate the mess it makes? Weigh in one bowl, mix in another, prove in a third and then bake in a tin – you end up with a lot of washing up to do. Sound familiar? Then what you ‘knead’ is the Lékué Bread Maker. The silicone answer to fuss-free baking. This nifty gadget allows you to weigh, mix, prove and bake in one. When open, it acts like a regular bowl, perfect for preparing your dough, and when fastened, it turns into the perfect cooking companion. 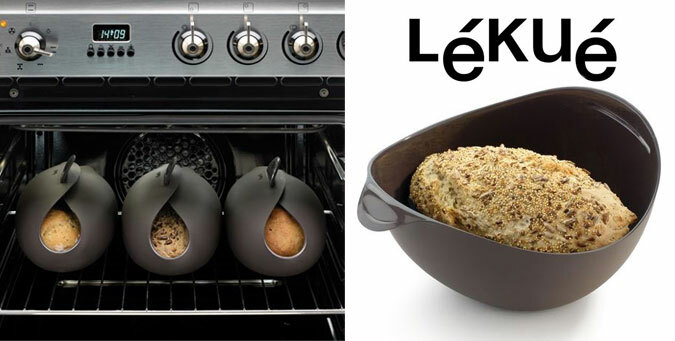 Its design as a partially closed bowl allows steam to circulate inside, making the dough moist and preventing the bread from drying up, and the side openings allow hot air circulation, giving bread a crusty and golden texture. Although you’ll only have one bowl to wash up afterwards, if you still don’t fancy the idea of donning the rubber gloves, just pop it in the dishwasher. This is just one of the new Lékué products now in stock. Buy today for £25, or click here to browse the range. ‘Tis the Season to be Incubating! We won’t bore you with the tra-la-la-la-la’s, but if you’ve hatched a plan for chicks, now is the perfect time to start. As long as your chickens are laying, you can hatch and incubate chicks all year round, but the most popular time to breed your own chickens is February to May. Your flock of chickens will be strong and healthiest during the Spring, so you will get the best eggs for the job. And, if you start now, you could have a batch of gorgeous little chicks in time for Easter. That’s far better than chocolate eggs, don’t you think!? Omlet customer Edward recently uploaded the above photos, showing his own hatching success. He used Brinsea products for the incubation and rearing of his chicks, and they worked marvellously. You can find Brinsea incubators, brooders and other eggstras such as candling lamps on our website, and there’s some brilliant information to help you get started too. For a great guide to hatching, by incubation eggspert Lewis, click here, or read the Omlet beginner’s guide to incubation here. We think Sally and Nibbles look right at home in their new Eglu Go Hutch. They can go in and out of their house as they please, snack on some fresh grass whenever they choose and curl up in their lovely snug bedding area. Plus, who needs a garden full of daffodils when you could have a bright yellow Eglu to admire!? 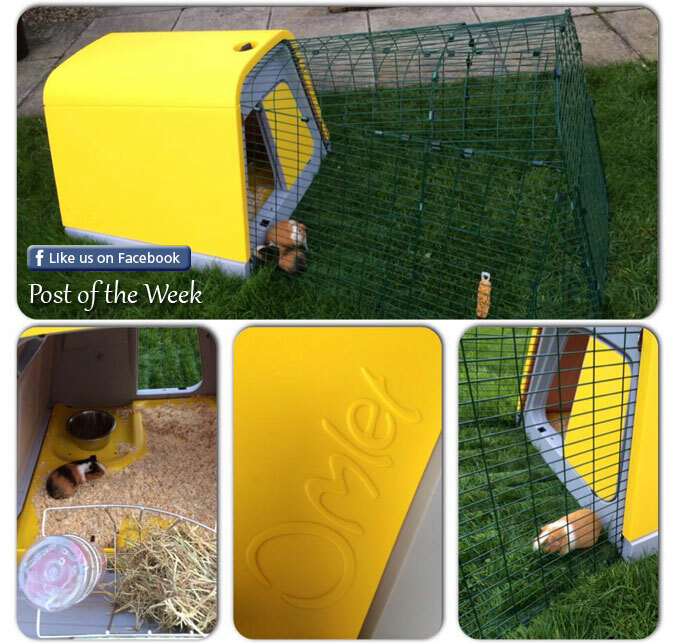 If you’re looking for a fresh alternative to a traditional guinea pig hutch, take a peek at the Eglu Go Hutch. Just make sure you put your sunglasses on first! 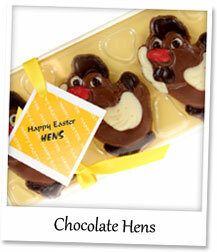 Chocolate Hens – If you thought that the gift of three french hens was only suitable for Christmas, think again. This set of three chocolate chickens are the perfect gift for Easter…or any other time of the year. Ok, they may not be hentirely french (they were actually made at a chocolatier in Wales), but we assure you they are completely scrumptious! So tasty, in fact, that you may not want to give them away to your true love after all! Chocolate Fried Eggs – Chocolate for breakfast? Yes please! These chocolate fried eggs will go down a treat with a morning cup of tea, but perhaps it’s best to avoid the bacon and ketchup. If you prefer your sugar rush later on in the day, that’s quite all-white too; our sources tell us that these taste eggseptional at any time. Chocolate Bunny & Carrots – Are you looking for an Easter gift for someone that’s hopping mad about rabbits? You carrot get better than this! 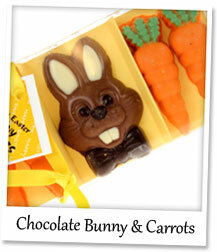 A great alternative to an Easter Egg, this set of bunny and carrot chocolates is cute, fun and incredibly tasty. The chocolate carrots may not help you see in the dark, but they beat the veggie version in the yum factor every time!